Ok so personal little exercise for a various reasons. A Novo Rapid insulin pen has 60 units of insulin, costing €0.17 per unit. So that's €0.85 cent per day, €5.95 per week, €25.78 per month of wasted insulin. #Iport costs €160 @ cost per month. It comes as a pack of 10 each lasting 3 days, so 30 day supply. €16.00 each for 3 days, €5.35 per day. This would save on lipohypertrophy complications and treatment, it would save on even more insulin as injecting to a lipohypertrophy area would mean using even more insulin than should be required to cover the carbs in a meal or snack. #Insuflon costs aprx €60 @ cost, comes as a pack of 10, each lasting 3-5 days. If we say 3 days each box would last a month. €6.00 each, €2 per day. For a 5 day period a box of insuflon would last for 7 weeks, and the daily cost to the HSE would be €1.20 per day & €36.00 per month. Now as the definite waste of insulin per month is aprx €26.00 and maybe more in some cases, I would have thought covering both the iport and Insuflon on our LTI scheme would be a cost effective measure even the HSE can't ignore. Using one of these devices would reduce the cost of insulin to the HSE and in some cases & circumstances it might even balance out. However we are still awaiting a decision from the HSE as to whether they will cover the iport on our long term illness ( LTI ) scheme. Wouldn't it be nice if both the Iport & the Insuflon were included ? Then we could choose which one we would prefer to use. I do think the iport is possibly a little more suitable to children. 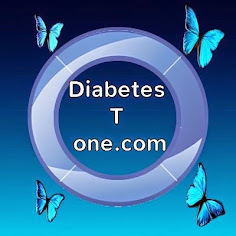 However the Insuflon has a potentially important role to play for people / adults with type 1 diabetes And adults with type 2 diabetes injecting insulin. Iv used both and I'm happy with how effective both devices are when used correctly. There are advantages with both devices, and very few disadvantages, however at the end of the day it is down to personal choice, age, circumstances, and lifestyle. At the end of the day, when using either of these devices, the insulin we are injecting is more effective and with no waste because the little rubber seal we inject into catches every single drip of insulin we inject. 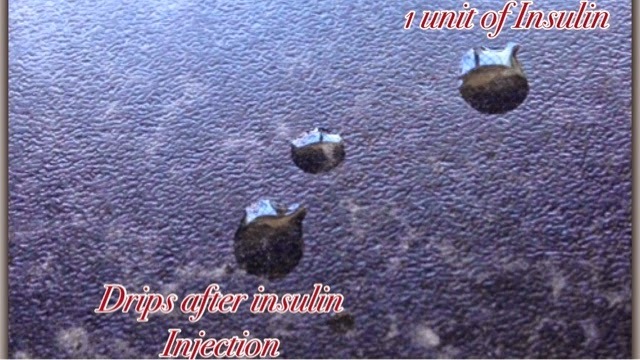 If we inject 6 units, we get the effect of 6 units instead of 5 units with a 1 unit drip wasted.